We went to the Museum of the History of Science in Oxford a while back. On the way out I bought some postcards including this one for 60p. 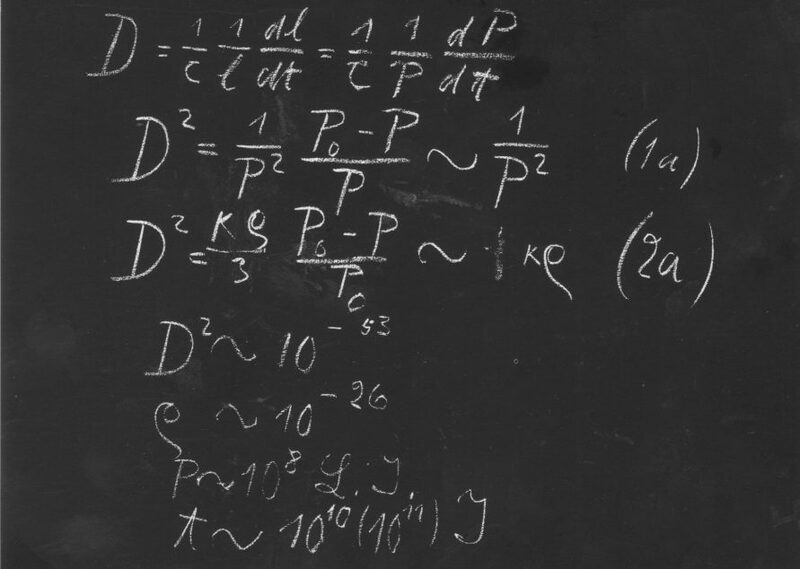 The blackboard was used by Albert Einstein doing a Lecture on 'The Theory of Relativity' in Oxford on 16 May 1931. 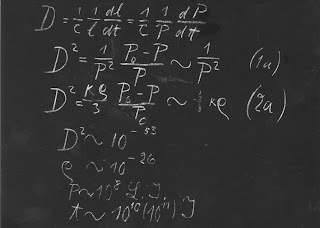 Normally a blackboard is wiped after use, but in 1931 Einstein was already an international celebrity and so the blackboard was preserved and now hangs on the wall protected by glass. I sometimes carry the postcard around and scribble the formulae onto the back of dirty vans. It makes a change from 'Also available in white' and 'Please Clean me'.